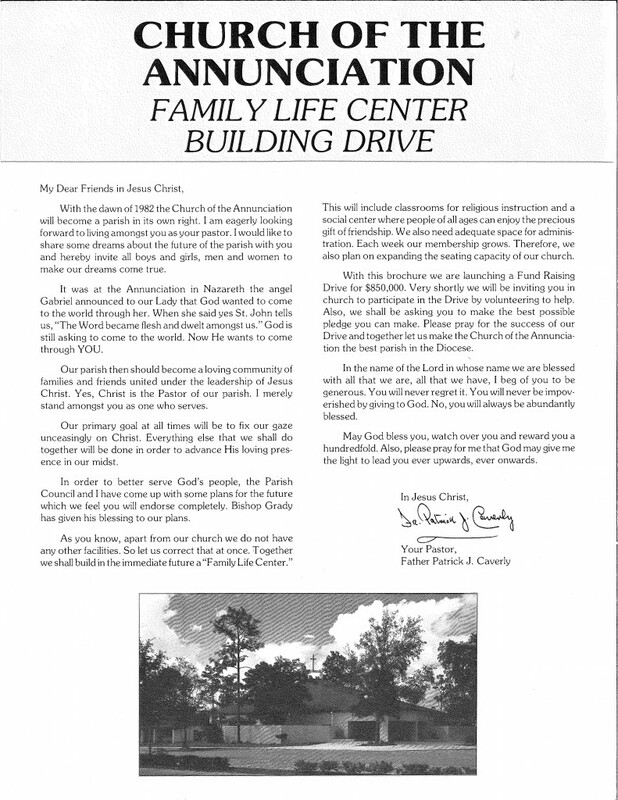 A building fund drive held in 1981 led to the expansion of the church in 1982 by adding 500 seats and the Family Life Center with educational, social and office facilities. Land with buildings for a rectory and convent were also acquired. An additional 10 acres to the south of the church were purchased for parking and future development.